Klipsch IC500TSCW Commercial In-Ceiling Speakers just installs to 105 mm depth and delivers up to 200 Watts of wide dispersed sound from 127 mm woofer and Titanium Diaphragm compression with Round Tractrix Horn Technology. The two-way Klipsch IC-500-T-SC features a 5” woofer, and a 1”titanium diaphragm compression driver on a 2” round Tractrix horn for smooth response with constant directivity. A Tractrix port design helps to provide deeper, fuller bass with less compression and distortion. For distributed line application, the IC-500-T-SC features a 15 watt, 70/100 volt multi-tap transformer. 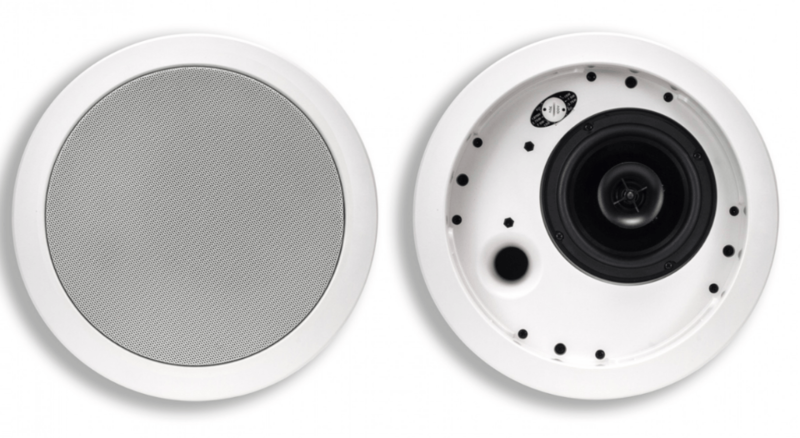 A single rotary switch for the 8-ohm bypass and multi-tap setting is conveniently located under the speaker grille. The Klipsch IC-500-T-SC is shipped complete with a tile-bridge for installation in a suspended ceiling or wherever additional reinforcement of the ceiling material is required. Key Features – Shallow 105 mm depth. 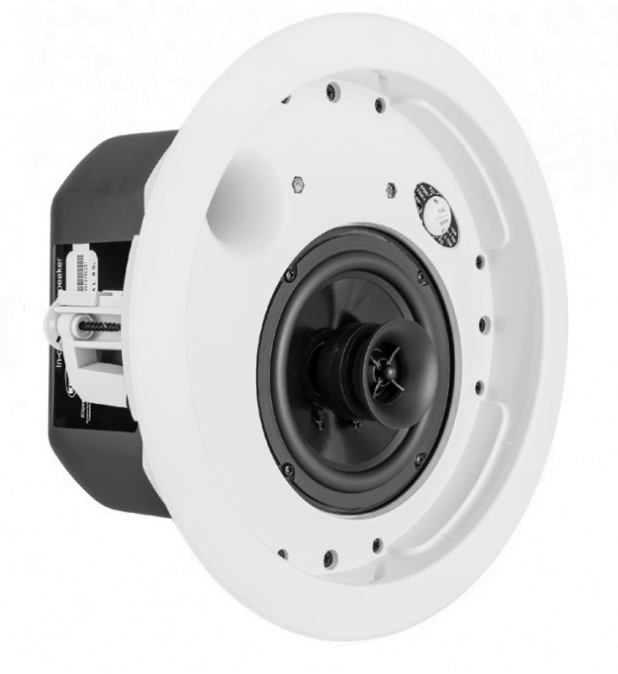 Includes 15 watt 70/100 volt multi-tap transformer, 70V, 100V, or 8 ohm operation selectable via front baffle switch., Tractrix port design for deep bass with less compression, Tractrix horn tweeter for smooth on and off axis performance, Designed to mix and match with Klipsch CA speakers,Includes grille, back-can, tile-bridge, and cut-out template for easy installation.